It’s a tale as old as time: There is no day as monumental as The Big Day. For many, there’s nothing more special than the celebration of love, the uniting of family and friends, and the uttering of heartfelt vows. A couple’s wedding day will be one of the most memorable days of their lives. However, the stakes are high when planning a wedding. You don’t want the magic of the day to be eclipsed by stress and anxiety due to a lack of planning or improper execution. 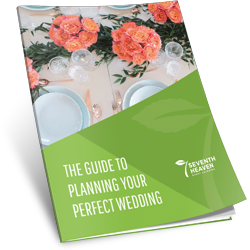 For an event that often takes a year or more of planning, it’s important to get organized. Make sure you’re on the same page as the people helping you pull off the big day. There’s no detail too small for a fairytale wedding and it’s easy to get lost. Leave yourself enough time to start dreaming up the big picture first, before buckling down and zeroing in on all the practical considerations.